Guess what—it’s going to be a hot summer in Austin, TX. Surprised? Of course, you’re not, but you may be surprised to know that there is something beautiful you can do to keep your house cooler and reduce your air-conditioning bill every month. Hunter Douglas roller shades are an attractive and energy efficient window treatment option, and you’ll find dozens of styles and colors at Southern Shutters Shades and Blinds. 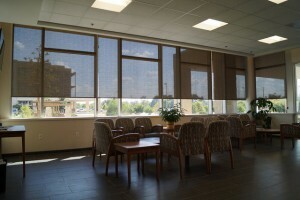 Roller shades have been a popular and affordable window treatment for many years. 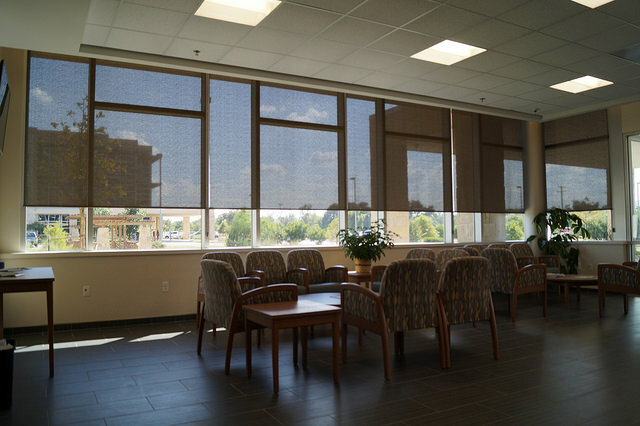 Now, however, they are more than just popular, they are a fashionable window covering option. Southern Shutters Shades and Blinds has hundreds of fabric choices in a range of opacities. You can also choose from a variety of traditional solid colors as well as beautiful floral patterns. Designer Screen Shades from Hunter Douglas offer UV protection while still allowing you to see the view beyond your window. Although they may look delicate, these shades are actually quite sturdy and a cinch to clean. For the Austin home with a sunroom, Hunter Douglas Designer Screen Shades can be the ideal solution that provides protection from the sun without distorting the view. Hunter Douglas Roller Screens Collection combine a wide selection of beautiful fabrics with sophisticated metal hardware that will give any room in your home a modern finish and up-to-date look of style. Likewise, the Hunter Douglas Roller Shades is an interesting alternative to woven woods and solar screens. These roller shades artistically combine unique fibers with a sophisticated design to create light filtering fabrics that lend a special ambiance to any room in your home. To raise and lower Hunter Douglas roller shades, Austin residents have a choice of operating systems. With PowerView™, Hunter Douglas’ wireless operating system, you can program your roller shades to open and close according to the schedule you program from your smartphone, tablet or remote control. UltraGlide® features a retractable cord system, so there are no visible external cords. LiteRise® is a cordless system; just lift and lower with your hand and shades stay right where you want. Before the summer starts and catches you off-guard. We’ll gladly come out to your Austin, TX, home to help you choose the Hunter Douglas roller shades that are ideal for you.